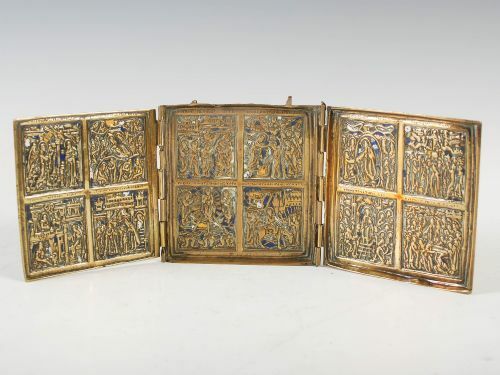 A superb Russian brass and enamel travelling triptych icon containing 12 very finely detailed scenes and a main scene to the front. Each scene is accompanied by Cyrillic script. Size: just under 4in square when closed. (10cm square). 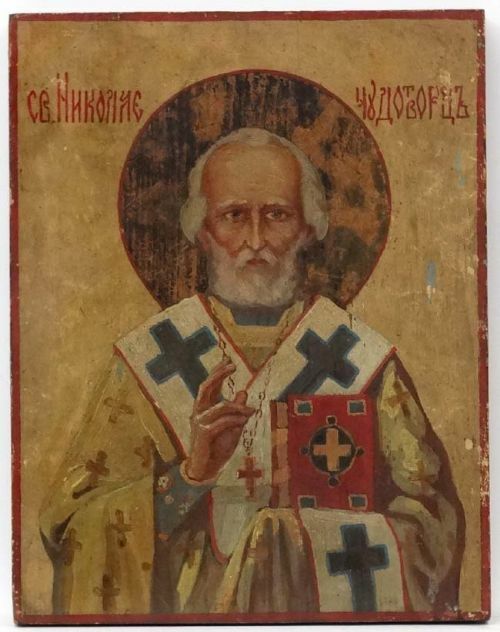 Russian Icon,Tempera and gesso on wooden panel, Saint Nicholas the Wonder Worker holding a closed Book of the Gospel on the left hand and composing the Christic Monogram with his right hand, bears Cyrillic writing above. Size: 12in x 9in (30 x 23cm).